Honey is known and respected around the world. 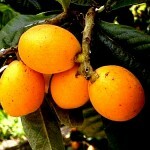 Moreover, it is used not only as a food supplement – also in medicine and cosmetics. What makes honey so popular? 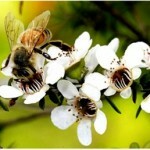 First of all, its ease of use – honey for health reasons. You can just eat spoon of honey, spread on bread, add it to water, juice or tea. However, you should follow a few rules, using honey for health to keep all the healing properties of honey. 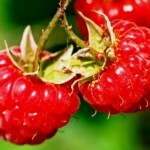 First, do not change temperature of air, store it at room temperature, not in the refrigerator. Do not add it to hot water or tea. 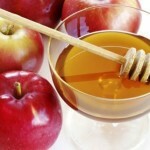 Dissolve the honey in warm water or eat separately with hot tea. Secondly, the choice of the spoon is also important to preserve the healing properties of honey – do not use metal spoons, you should give preference to wood, ceramic or plastic spoons. Honey contains glucose and fructose, so in many cases, the sugar can be replaced with honey. In this case, honey is more economical and useful sweetener. Although the honey has more calories than sugar, its combination with warm water (1:1) stimulates the metabolism and burns fat in the body so you get effective weight loss. Honey improves digestion, which also helps to lose weight. Honey has antibacterial and antifungal properties, and is used as a natural antiseptic. 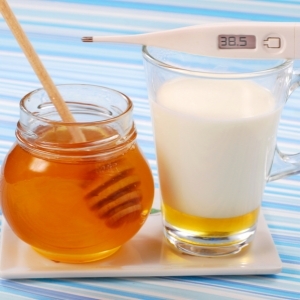 Honey cures a cold and sore throat in no time, mix it with warm tea and drink at night. Also, honey can be used as an external antiseptic to heal wounds, burns and cuts. In this case, the honey acts as an anti-inflammatory by inhibiting reproduction of microbes, reducing swelling and pain. One tablespoon of honey contains 64 calories, 1 tablespoon of sugar has 15 calories. 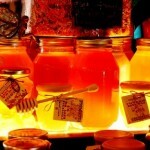 Therefore, honey is 3 times more efficient source of energy. Honey maintains a constant level of blood sugar and the even use of energy during exercise. Sports nutritionists recommend athletes take a small amount of honey just before exercise to get energy, and immediately after exercise to regain strength and reduce muscle pain. Unlike sugar, honey contains a number of vitamins and minerals that help the body to absorb it and other foods. 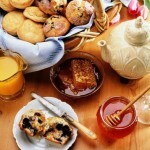 Honey, as well as coffee , is a natural source of antioxidants. Honey contains nutraceuticals, which effectively help in the removal of free radicals from the body. 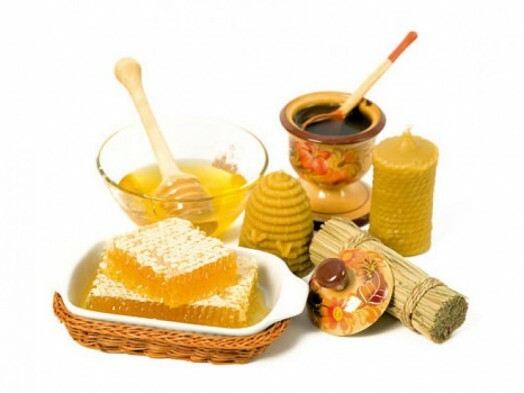 Therefore, honey helps to strengthen the immune system, and even prevent the development of cancer cells. 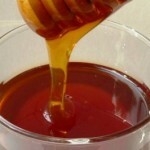 Honey is a natural humectant, so it is added to many cosmetic products for dry skin and dry and damaged hair . You can search for products with honey, or simply add it to your usual shampoo or cream. As you can see, honey is a very powerful tool for the health of your body, the benefits of honey for the health and beauty are great and undeniable. Do not miss the pleasure to enjoy the great taste of honey, as a combination of “tasty and healthy” is not very common among the food we eat. Eat honey and good luck to you!